While GBP was being supported by BoE’s monetary easing program it lost its power due to the U.S jobs data. 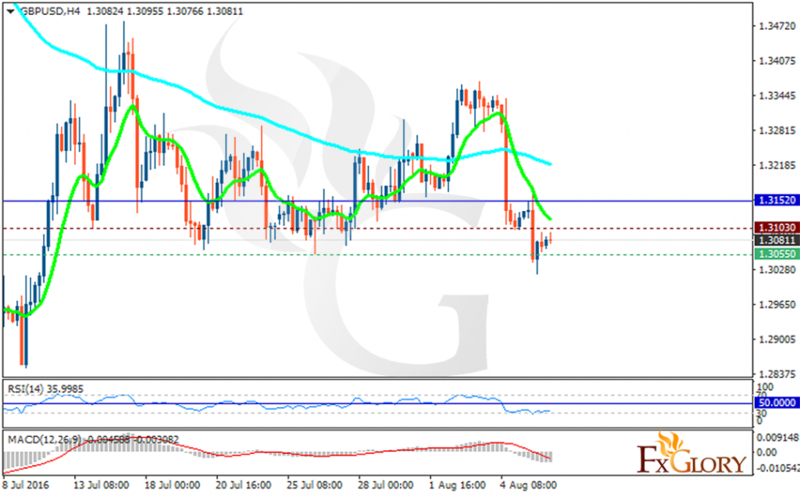 The support rests at 1.30550 with resistance at 1.31030 which both lines are below the weekly pivot point at 1.31520. The EMA of 10 is moving with bearish bias along with the EMA of 100. The RSI is moving horizontally in the oversold area and the MACD indicator is moving in negative territory showing the price decline. Sellers can target 1.2900 for this pair at the moment.